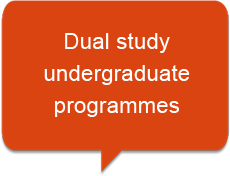 Proof of university entrance qualification in the student’s home country (e.g. High School Diploma, Matura, A-Levels, Bachillerato). They are verified on the basis of ‘anabin’, a database published by the Ministry of Education and Cultural Affairs of the Federal States of Germany. Work contract (“Praxisvertrag”) with partner company (iba assists students in finding a partner company and already maintains a network of more than 1,500 cooperating companies nationwide). There is currently no admission limit (Numerus Clausus). A valid visa for study purposes. Conditions for receiving the visa can be found on the website of the German embassy in your home country. In general, embassies ask for proof of acceptance at a German university, good German knowledge as well as proof of sufficient financial resources. 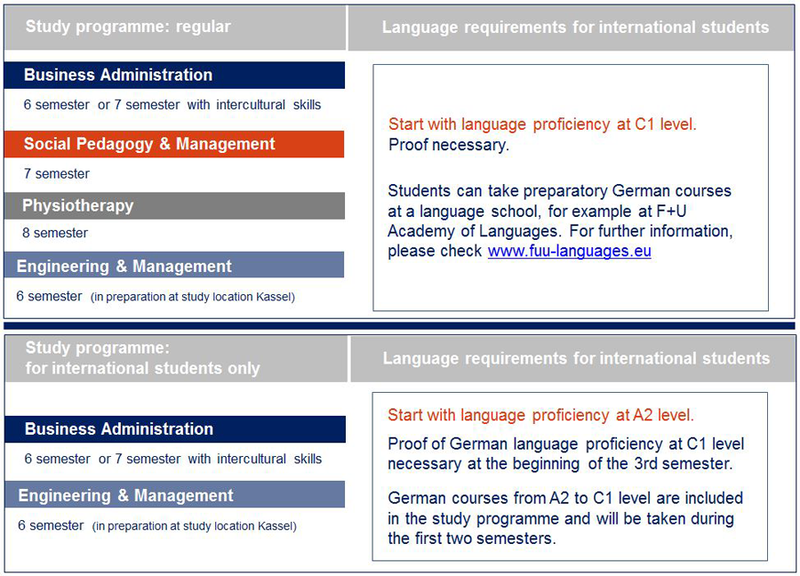 Applicants can also apply for a language course visa to take preparatory German classes. Please inquire at your local German embassy. Individuals with vocational qualifications can also be granted admission to higher education institutions if they have successfully completed at least two years of professional training and are able to account for their work experience. Should your qualifications be missing from the list, please do not hesitate to contact us. We will be glad to verify your university entrance qualification individually.